What's the Austin Brothers Difference? UNMATCHED QUALITY. We are committed to the highest material and installation standards in the industry. Experienced installers, dedicated project managers, and a quality control inspector for EVERY job ensures your complete satisfaction. HONEST PRICING. Our no-haggle, fixed-per-foot pricing, and no-pressure detailed estimates give you both peace and comfort of mind throughout the entire process. Allied Fence & Security offers affordable, quality fencing services in Austin, including repairs and installation to provide your home or business security and privacy. Consider Lariat Fence and Construction your number one fence company in Hays County, TX. With 30 years of experience we offer a wide variety of fences. Do not hesitate to give us a call. Your Jonestown, TX fence installation and repair professional will work with you to create your ideal fence. 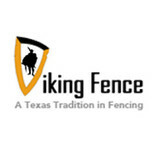 Find a fence contractor in Jonestown, TX on Houzz. 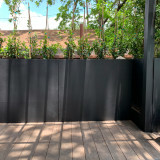 Narrow your search in the Professionals section of the website to Jonestown, TX fence contractors. You can also look through Jonestown, TX photos to find examples of fencing and gates that you like, then contact the professional who worked on them.